Headquartered in Palo Alto California, Tesla Motors is an innovative automaker that sells battery-powered sports cars that are faster, more enjoyable and most importantly, produce zero-emissions in comparison to some of its petrol powered competitors. The young company holds an exciting story of a process that took many years, millions of dollars, lots of guts and effort of a group who changed how the world sees electric-vehicles, or EVs. Over eight years in and with over a thousand roadsters sold, Tesla Motors had created a world renowned name that inspires a new generation of vehicles. The company initially made its mark with the Tesla Roadster. Next on the list is the controversial Model S that is set to be launched in North America in mid 2012. Knowing that it will face lots of implementation challenges along the way, Tesla Motors is going strong while standing up to the biggest challenge of providing an alternative source of energy to today’s transportation; something that hasn’t changed since inception of the internal combustion engine over 100 years ago. Using electricity – a renewable energy source – as an alternative, Tesla Motors is embracing the new era of sustainability that is well on its way. Starting up as a new automaker in the context of today’s economy and market trends, it is a bold and risky decision that can be justified in numerous ways. In the case of Tesla Motors, the goal was to prove that, within the automotive world, it was indeed possible to mass produce low cost, electric vehicles. Switching to an alternative after over a century of tradition and standards is a tough call. Tesla’s new electric solution has had to propel today’s vehicles to outperform – on all levels – the old-faithful gasoline engine in order to be accepted by the mass market. Yes it is ‘green’ and yes it produces zero emissions. The new electric roadster even has better performance stats than some of today’s well known sports cars. But let’s think outside the box for a second and ask whether or not the current power supply infrastructure is ready for the new wave of electronic vehicles that Tesla Motors has started. How quickly can charging stations be installed throughout the country? Thoughts like these most definitely passed the minds of the ambitious men who were involved in the Tesla project. Sometimes all unavoidable doubts and practicality questions need to be set aside, letting your gut, your intuition, determination and arrogance take over. Back in the early 2000s, after agreeing to work with and invest in Tesla Motors, Elon Musk, now the chairman, product architect and CEO, began taking crucial steps towards the success of the company. Facing lots of difficulties and challenges at start-up, slowly but surely, Tesla Motors made its way to the top, starting off by selling its innovative battery packs while the concept roadster was still in development. Unfortunately, at this stage in the game the roadster was still too expensive to produce in order to generate income, and besides, a proper transmission was still in the works. Tesla’s engineers worked feverishly in an attempt to optimize the design and bring the costs down. Making a battery pack deal with a German automaker, and acquiring a few more investors along the way, enough money was raised to finally start producing the electric roadsters. 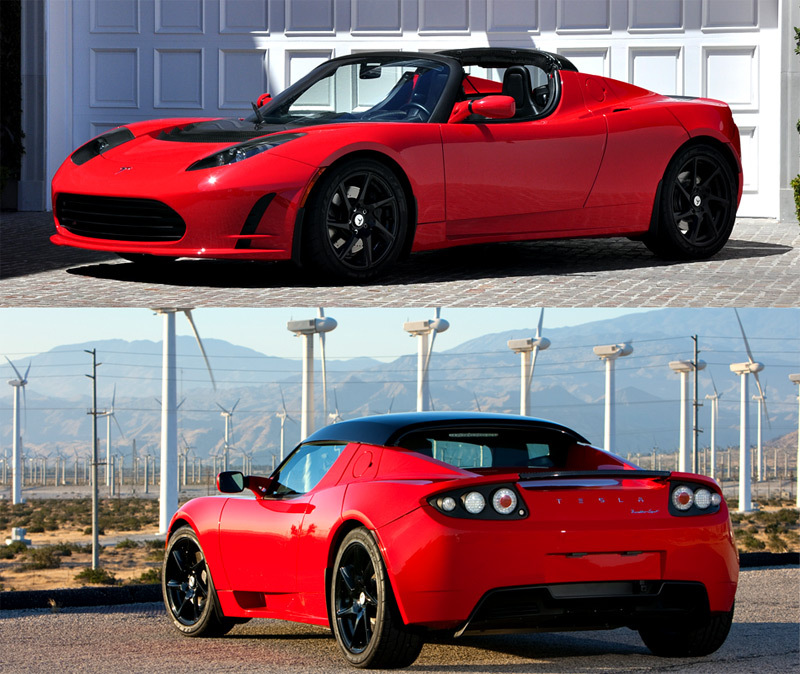 From the Tesla Roadster, to the Roadster S, to Tesla Roadster 2.5, in three short years the company and its vehicles made a global impression with their performance, looks, and of course, emissions. Selling over 1650 Roadsters in more than 31 countries across the globe, the company grew to over 1000 employees and 18 Tesla stores to date. The most recent Tesla, the Roadster 2.5 – unveiled in the summer of 2010 – is a huge improvement from its predecessors, in everything from build materials to ‘royal treatment’ in the UK. It features 295 lb. ft. of torque enabling a 0-100 km/h time of just 3.7 seconds. Tesla claims that on one charge the vehicle is capable of travelling 245 miles, or just about 400km. So where would one find charging stations? Well, in the UK for example, Tesla owners can park their vehicles for free in certain neighbourhoods, receive up to four hours of free charging time at specific parking areas, and ‘deduct of the price of the car from their taxable profits’. Let’s hope that North American customers will get the same perks of owning a Tesla. If you are looking to get a Tesla Roadster in Canada then you have the option of purchasing the base model roadster for $125,000 CAD and the sport model for $147,300 CAD. Customers in Ontario also qualify for a government sponsored ‘green’ vehicle incentive of $8,500. The Canadian Tesla team is based in Toronto and test drives are available throughout the week by appointment. Elon Musk’s ‘master plan’ was to design, build and sell a limited production, fully electric sports-car to show the world that it was possible. Having achieved the first step, it was time to move on to the second that encapsulated the design and mass-production of an electric family sedan. There is a huge difference between being a small car company that hand-builds its vehicles, and a large manufacturer that mass-produces their products. Tesla Motors was precisely at that stage where it would need to morph into a large scale manufacturer. 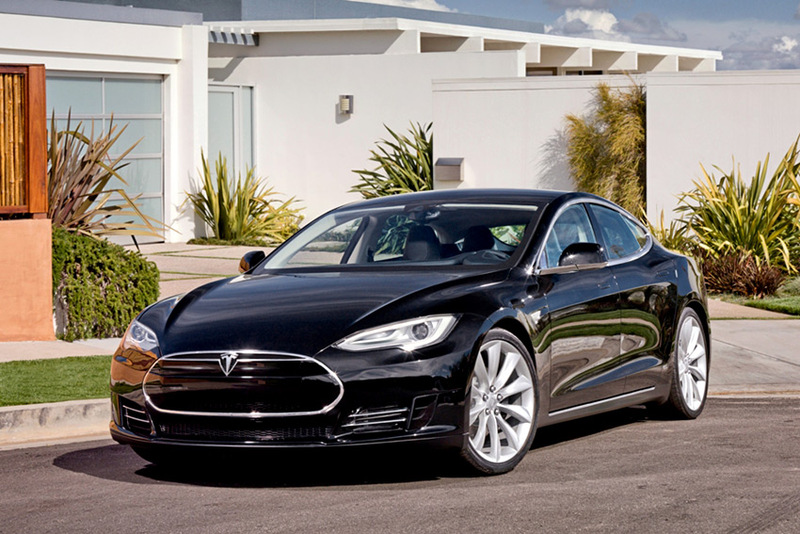 The Tesla Model S – the face of the next generation of electric vehicles – was next on the list. The Model S is a unique breed that can seat seven people while still retaining its sedan credentials. Since there’s no need to run exhaust piping and install other, gasoline engine related parts, lots of additional room is left inside for extra passenger and luggage accommodation. Unlike the Roadster, the Model S has an onboard charging station built in, allowing the vehicle to be recharged from your typical outlet, in just 45 minutes. According the new sedans performance credentials, it can do 0-100 km/h in 5.6 seconds and can travel 482 kilometres on a single charge. With the concept well on its way, it was time to find a way to mass produce the electric vehicle. With a little bit a of luck, Elon acquired a 200-acre production plant in Northern California for just over $40 million and set a goal to roll-out and launch the Model S by mid 2012. Owning a Tesla is perhaps the ultimate statement one can make about being environmentally responsible while holding on to pavement ripping performance and stunning looks. baby. 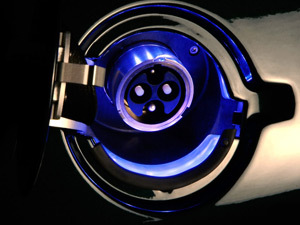 With typical household outlet of 120 volts, the car would require over 24 hours to recharge. With a 220Volt outlet- about 5 hours. And one can hardly claim to be “environmentally responsible” while driving a car that produces more emissions (and more deadly) than anything coming out of a gas powered vehicle. You will however, show yourself to be just as ignorant as Hollywood folks like George Gooney. Congratulations. A very well-written, comprehensive review. Ramon 123 is not aware of recent advances in battery technology. He misses the point entirely of the great advances made by this car company. Tesla is the Apple of the car world and Ramon would be well advised to purchase some of the company’s stock at its current valuation. Well, that’s a bit harsh. His statement about charging in 45 mins on “your typical outlet” was definitely misgucomment_IDed. True, you need an L3 “QuickCharge” charger to do that, but you can charge the car from any outlet. Yes, it will take about 10 hours if your battery is completely depleted, but I don’t know anyone that drives 300mi on a daily basis, and even if they dcomment_ID, I bet their car would still be in their garage for 10 hours before they needed it again the next morning. The most common use case is that you’ll leave work in the morning with a 300mi charge and return in the evening with 260mi left. Plug-in to your standard outlet and leave in the morning again with a 300mi charge. There is only an issue with charging the couple times a year that you need to take your car on a really long trip. I think that if you are going to drive more than 300mi in a single trip you will probably stop for lunch. So just find a QuickCharger along your rout and plug-in while you have some eats. By the time you are back to your car you should be at least 80% charged and ready for your next leg. Or, if you are a family with two cars then just take your wife’s ICE for those couple trips a year (this is what I’m going to do). Or, if you are single: rent. It is far cheaper to rent an ICE on the rare occasion that you will need one than to buy one and pay for gas and maintenance all the time just so you can have it when you do need it. I don’t even know that this means. The Model S is a zero emissions vehicle that doesn’t even have a tailpipe. The batteries are lithium ion cells which are 99% recyclable and contain no toxins whatsoever. How about you lock yourself in a garage with a running ICE vehicle, and I’ll do the same with a Model S, and we’ll see who dies first.